Hurricane Florence was a powerful and long-lasting hurricane that went on record as the wettest tropical cyclone on record in the Carolinas. North Carolina, South Carolina, and Virginia all issued mandatory evacuation orders on September 10th and 11th of 2018 in preparation for the major storm’s landfall. The hurricane weakened from a category 4 to a category 1 before reaching land; however, the storm was still marked with high wind speeds and slow forward motion with excessive rainfall. The outer bands of the hurricane were felt from September 13th through 15th. Trees were uprooted and power outages wreaked havoc in the path of Florence. The slow-moving storm, which traveled at only 2-3 miles per hour, dumped heavy rains along the coast in addition to storm surge from the ocean waters. On September 15th, the storm stalled before moving inland again. Widespread flooding was reported along the North Carolina coastline, and many families evacuated quickly without considering the fate of their household pets that were left behind. Last weekend, six dogs arrived at the Friendship Animal Protective League in Elyria, near Cleveland, Ohio. These frightened animals came out of the rising waters of North Carolina into the loving arms of volunteers ready to receive them. They were treated with warm baths and comfortable sleeping areas along with plenty of love. All animals brought into the Friendship APL are vaccinated, de-wormed, tested for heartworm, treated for fleas, microchipped, and spayed or neutered. “The thing with animals, they don’t understand why people are leaving. They’re innocent in all of this; they don’t know what’s happening or what’s going on,” said Suzy Peoples, animal care supervisor at the facility. The dogs will be available to the public for adoption on Thursday, September 19th. In addition to the pets rescued from the flood waters of North Carolina, the shelter has available dozens of other dogs awaiting their forever homes that are currently available for adoption as well. “Hopefully, as we make more space, as more adoptions happen, we can bring more of these dogs from North and South Carolina in and continue to help out, “said Peoples. The remaining rescued animals were transferred to animal shelters throughout Ohio and others were transported to other states for adoption. The Puppy Pipeline Rescue of Georgia is picking up seven puppies, five cats, and fifteen kittens on Wednesday to be transported on Thursday morning to Northeast Ohio SPCA Shelter and Clinic in Parma. Yet many of these poor creatures were left locked in cages or chained up in yards that were under several feet of water after Florence passed through. 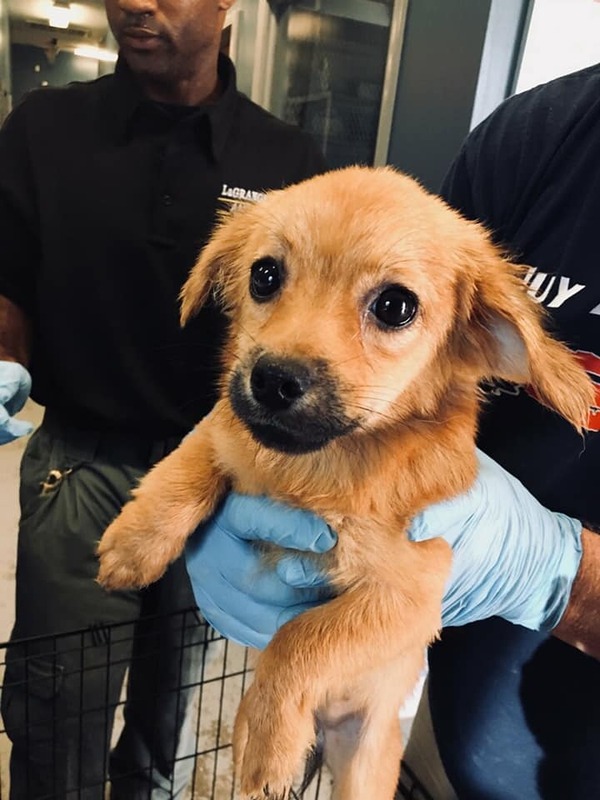 Thankfully, the Puppy Pipeline Rescue along with numerous animal shelters across the United States stood up and took responsibility for these helpless animals, saving them from the storm and bringing them hope for a new, loving home.